A level 3 Oxford Bookworms Library graded reader. This version includes an audio book: listen to the story as you read. Written for Learners of English by William Shakespeare. There are broken hearts and kisses and then weddings, so this is a story about love. There are actors who are funny because they cannot act, so it is also a story that makes people laugh. And there are fairies, spirits of the night, so it is a story about mischief and magic too. What happens when love and laughter come together with magic in an Athenian forest? 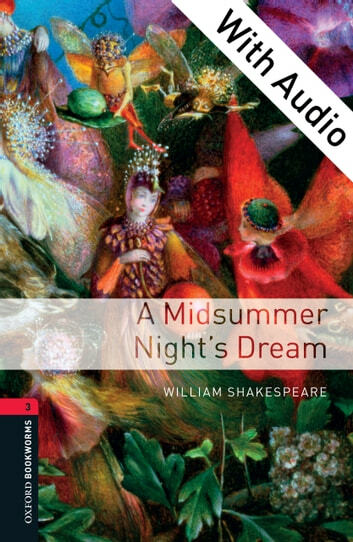 A Midsummer Night's Dream was written in about 1596 and is one of Shakespeare's most popular plays. It has been retold for Bookworms, not as a play, but as a story.